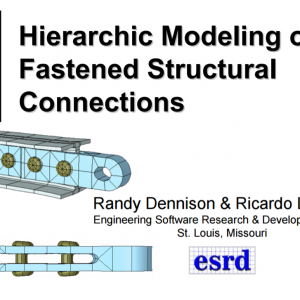 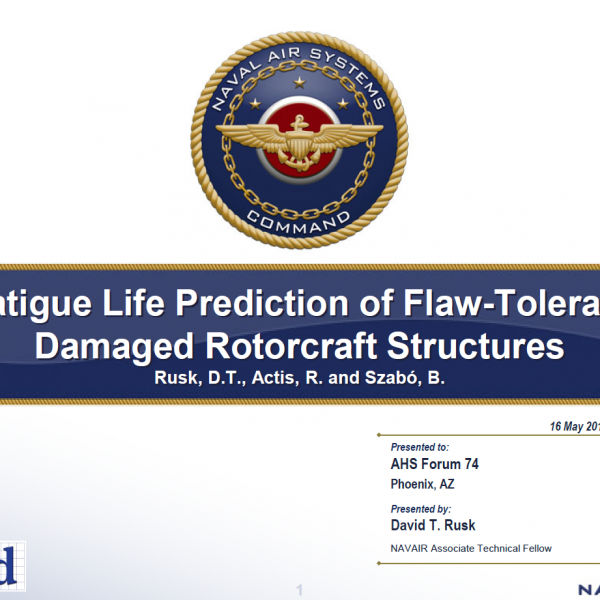 Fatigue Life Prediction of Flaw-Tolerant Damaged Rotorcraft Structures | ESRD | Engineering Software Research and Development, Inc.
Abstract: Paper presented at the American Helicopter Society Annual Forum 74 in Phoenix, Arizona May 14-17, 2018: Fatigue Life Prediction of Flaw-Tolerant Damages Rotorcraft Structures. 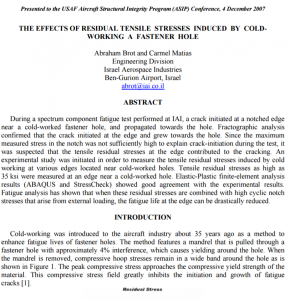 The presentation and paper report the work done by ESRD and NAVAIR under a SBIR program to develop an analytical approach to predicting the remaining useful fatigue life of metallic components with surface flaws. 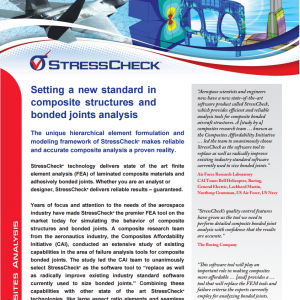 Categories: Fracture Mechanics Module, Linear Elasticity Solver, MeshSim Advanced Module, Non-Linear Solver, Residual Stress Modules, StressCheck Core, StressCheck Professional. 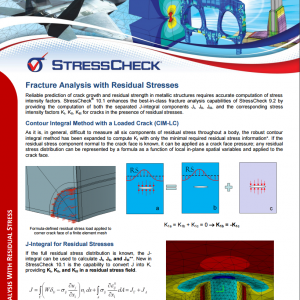 Tags: Damage Tolerance, Detailed Stress, Fatigue, Numerical Simulation, Residual Stress, Theory.